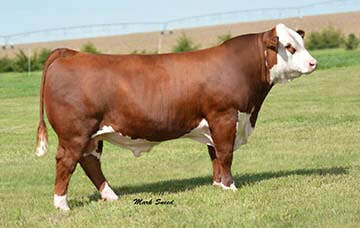 173D is a big time performance bull from the renowned NJW Herd. The NJW herd has consistently produced the bulls that shape the Poll Hereford breed and 173D carries on this dominance. 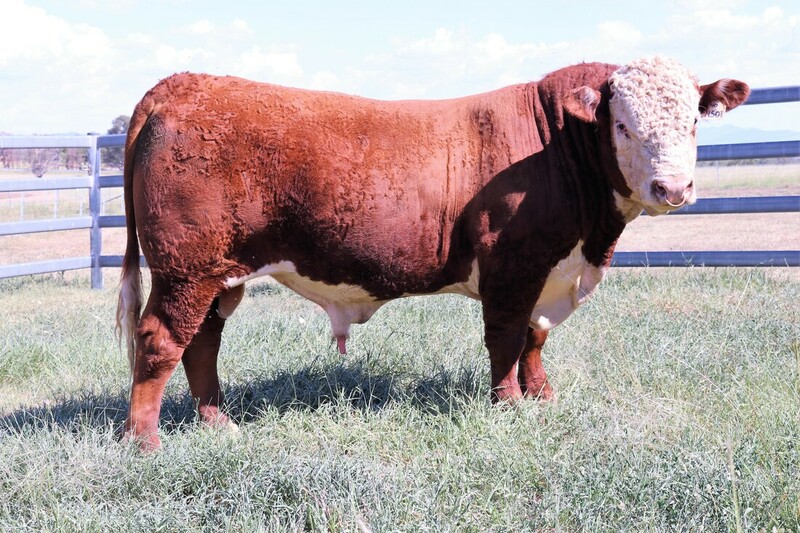 Post selling for $170,000 in 2017 173D has been identified by the leading breeders and exported across the globe where the reports on his first drop of calves is outstanding. The EBV profile of 173D offers great versatility to a focussed breeding program being top 10% Birth Weight, strong growth, high EMA and IMF. Leader was keenly sought after when sold as a yearling in the Rausch Sale. Since sale Leader has been used heavily across the globe with very positive results. The Leader progeny are thick, grow fast and catch your eye for presence, style and balance. In a calf breeding program Leader has immense value being top 5% for 200D & 400D weights off a +1.9 birth - true value and versatility. Techno was the $51,000 high selling bull in New Zealand in 2018 and carries on from his popular sire who has been used extensively. Techno is a product of the Koanui program that has breed some of the finest, commercially aligned poll hereford cattle in recent years. With Techno you get all the commercial aspects of NZ maternal focus with added growth and high carcase numbers.